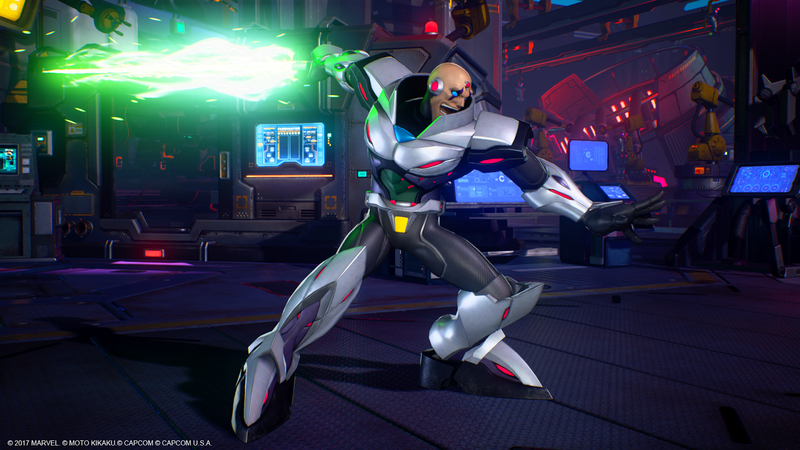 Here's your friendly reminder: Sigma, Black Panther and Monster Hunter are joining Marvel vs. Capcom: Infinite today along with each of their premium costumes. Everyone who previously obtained the 2017 Character Season Pass will automatically get all three characters (and Winter Soldier, Black Widow, and Venom when they become available). Alternatively, you can also purchase these characters separately for $7.99 a piece, which includes their premium costume. Additional details about today's update can be found here and here. Yeah, that's cool and all. But there is one slight problem. Capcom and Marvel forgot that America exists. I still don't have access to them yet. but Europe and Japan has them. Not sure about anywhere else, but US PSN updates in the afternoon, so that's likely why we don't have them yet. Whoever invented "DLC" needs to be shot. Out of a cannon. And, into the sun. "Expansion packs" are fine by me, though. Yes, there is a difference. ^This guy gets it. I really miss the days where you would spend $30 for an expansion and get 50% more game instead of merely a few characters/items. Game Developer: That's bullsh*t! $$$$$$$! Why should I make quality content and give a player hours and hours of gameplay and content if I could sell crappy skins for the same price and divide it to make player morons think that just paying for one it's ok? $$$$$$$! Capcom to Consumers: "Give us your money, suckers!" I got them on Monday. Sigma is crazy. Good thing they chose his X5 outfit. It was his best one.